Currently, UTEP’s Keck Center is leading an America Makes member team comprised of the University of New Mexico, Youngstown State University, the Lockheed Martin Corp., Northrop Grumman Corp., rp+m Inc., and Stratasys Inc., on a $2.2 million award grant to further 3-D printing technologies for rapid manufacturing of aerospace systems. Photo by JR Hernandez/UTEP News Service. As the national accelerator for additive manufacturing (AM) and 3-D printing (3DP), America Makes is the nation’s leading and collaborative partner in AM and 3DP technology research, discovery, creation and innovation. Structured as a public-private partnership with member organizations from industry, academia, government, nongovernment agencies, and workforce and economic development resources, America Makes partners are working together to innovate and accelerate AM and 3DP to increase our nation’s global manufacturing competitiveness. Founded in 2001 as part of a $1 million grant by the W.M. Keck Foundation, UTEP’s Keck Center is a lab like no other. 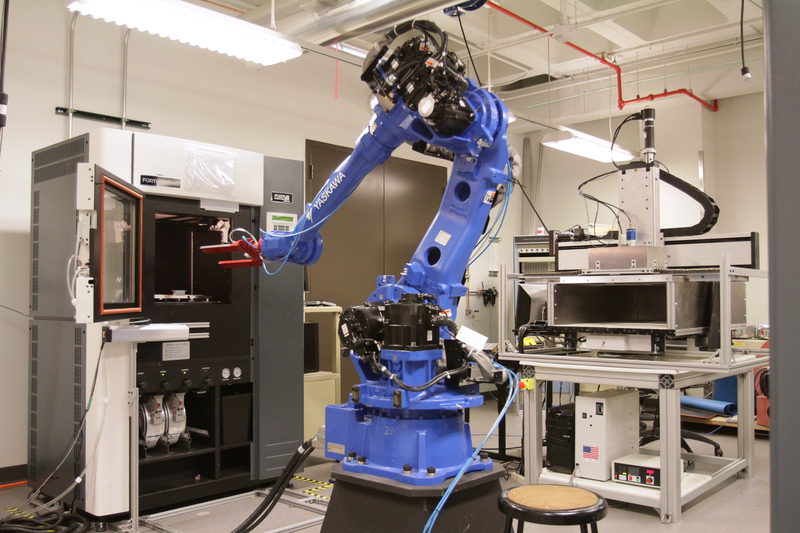 Led by Wicker, the Keck Center features a 13,000-square-foot, state-of-the art facility with more than 50 additive manufacturing machines and more than 50 involved faculty, staff, students and researchers with multiple successful national and international collaborations. 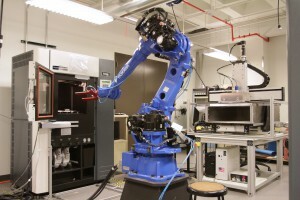 The lab showcases a unique blend of additive manufacturing equipment and facilities to perform fundamental research, allowing for trailblazing discoveries to be made in limitless arenas of science including 3-D printed electronics, airplanes and satellite components, human augmentation, biomedical implants and future energy systems. Currently, UTEP’s Keck Center is leading an America Makes member team comprised of the University of New Mexico, Youngstown State University, the Lockheed Martin Corp., Northrop Grumman Corp., rp+m Inc., and Stratasys Inc., on a $2.2 million award grant to further 3-D printing technologies for rapid manufacturing of aerospace systems.